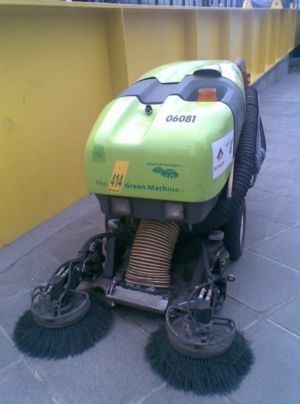 This is a green street sweeper, the "Green Machine". It is powered by diesel rather than petrol. It is of course better to reduce, reuse and recycle rather than generate rubbish that must be swept up. This page was last modified 12:14, 14 July 2009.